Zofnass Sustainable Infrastructure | Prof. Dr. S.N. Pollalis Inc.
Prof. Pollalis directed the research conducted at the Zofnass Program for Sustainable Infrastructure at the Harvard Graduate School of Design. 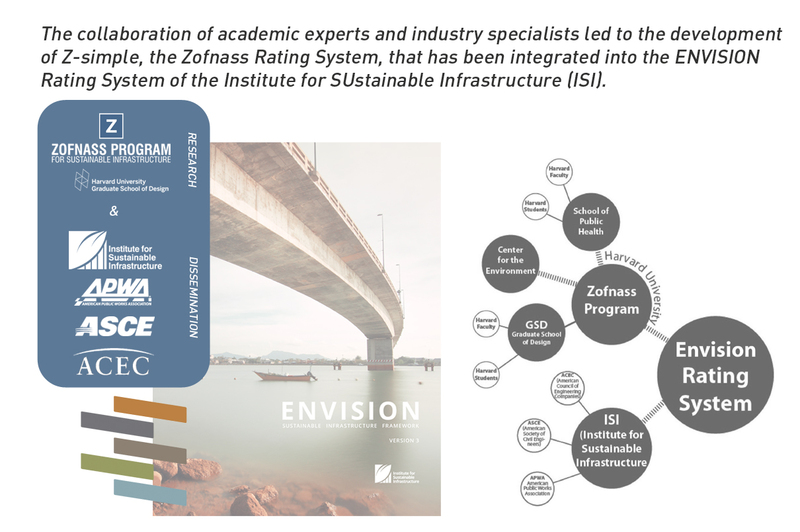 The Zofnass rating system has been adopted by the Institute of Sustainable Infrastructure (www.isi.org) as Envision® and constitutes the standard in the US for rating the sustainability of hard infrastructure. 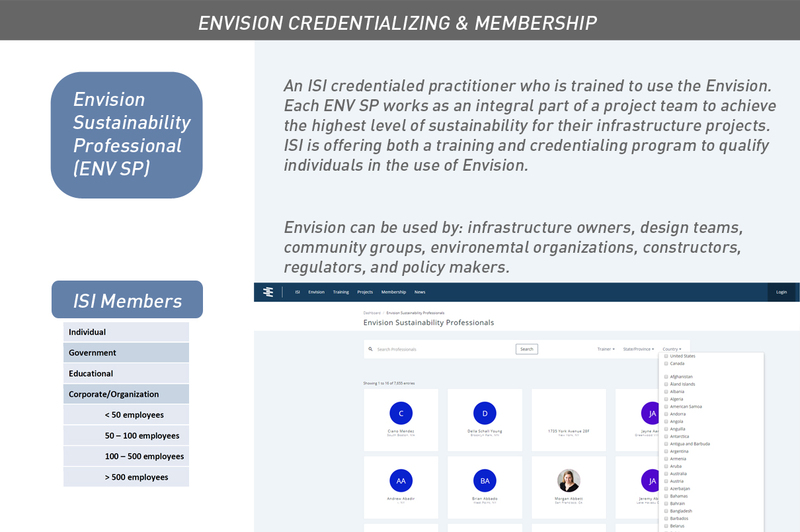 Envision® was launched in 2012 to fill a gap for a holistic rating system for sustainable infrastructure. 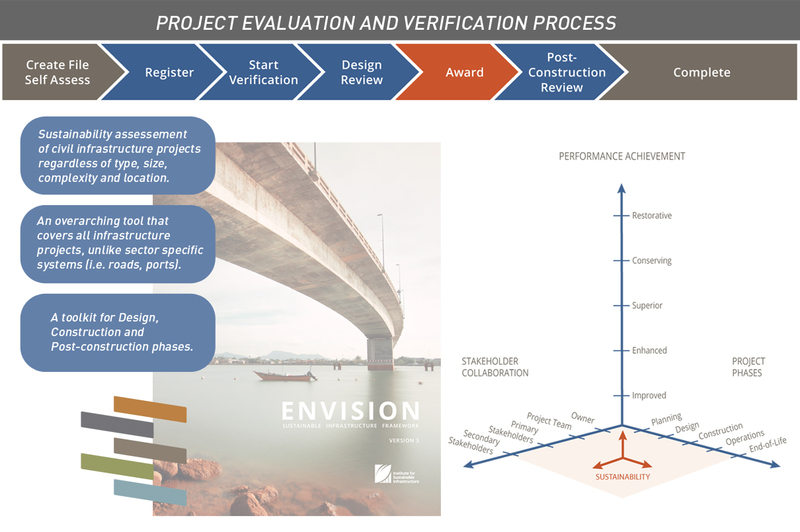 While sector specific systems exist, (e.g., roads, ports), Envision® is an overarching tool that covers all aspects of infrastructure. It can assess sustainability for civil and private infrastructure projects of all types, sizes, complexities, and locations in their planning, design & construction, and operation & maintenance phases. 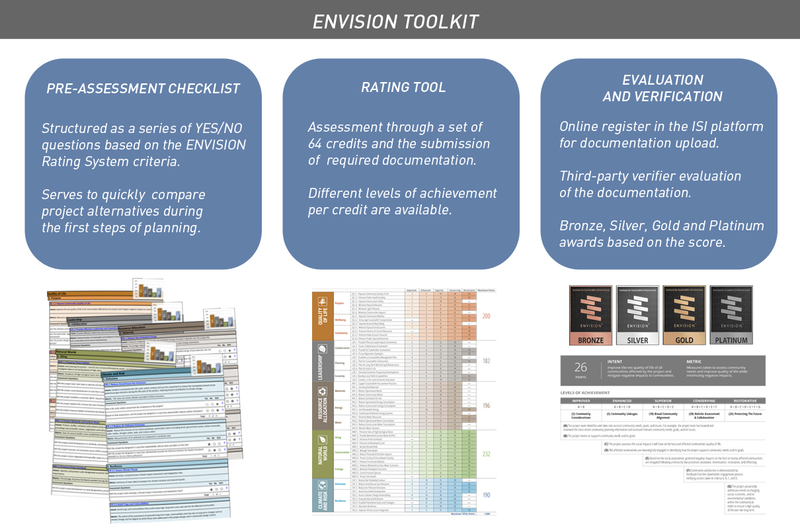 The Envision framework includes: 1. Pre-Assessment Checklist, 2. Envision® Online Scoresheet, 3. Project Evaluation and Verification, 4. Professional Credential program for individuals, and 5. Guidance Manual. 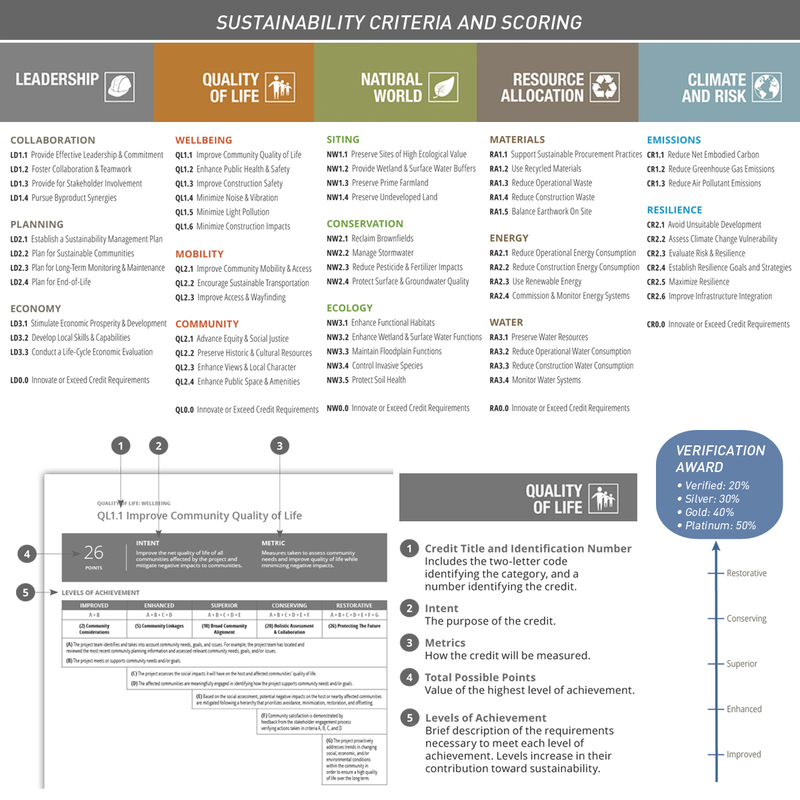 Envision includes 64 sustainability and resilience indicators, called ‘credits’, organized into the five Zofnass categories (Quality of Life, Leadership, Resource Allocation, Natural World, and Climate and Resilience/Risk). These collectively address areas of human wellbeing, mobility, community development, collaboration, planning, economy, materials, energy, water, siting, conservation, ecology, emissions, and resilience. These indicators collectively become the foundation of what constitutes sustainability in infrastructure.